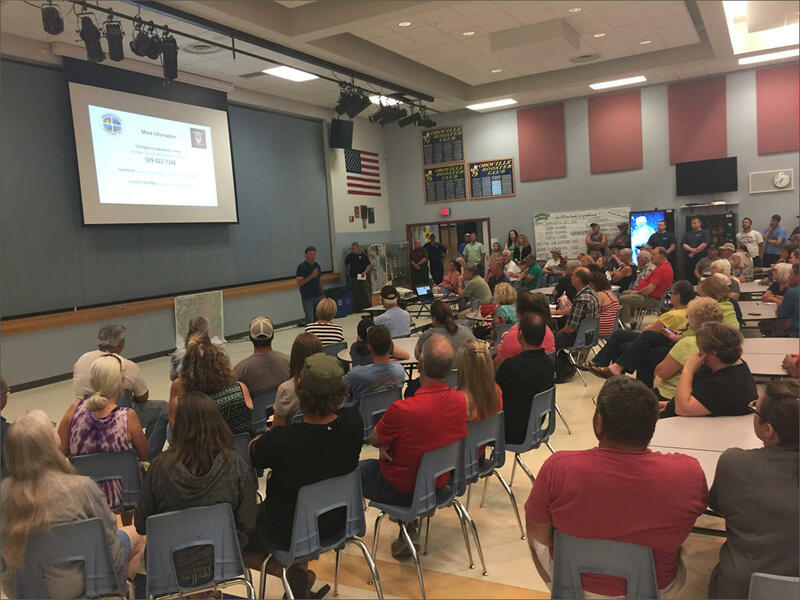 Roughly 200 people attended a public meeting at the high school in Oroville. They were briefed by emergency managers on flooding in the Okanogan Valley. 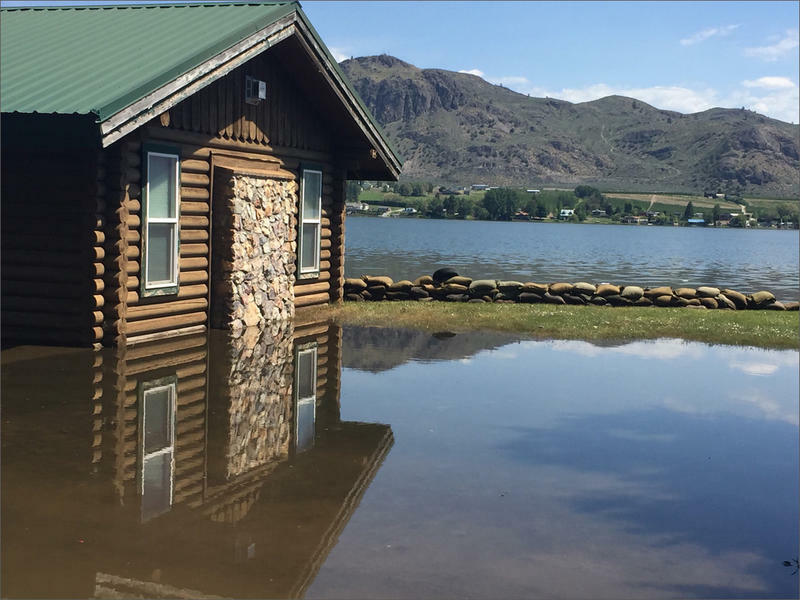 Emergency management officials are trying to protect drinking water systems throughout the Okanogan Valley from flood water contamination. In Oroville, they’re using sandbags to protect city wells that supply drinking water to residents within the city limit. Outside of the city, residents typically depend on their own wells for water. “I think the main concern is all the outlying areas that have home use wells and any of those are probably on low lying areas are already contaminated,” Oroville Mayor Jon Neal said. According to emergency managers who gathered for a public meeting at the Oroville High School Wednesday night, municipal drinking water systems in cities along the river have not been affected by flooding. Officials recommend that residents do not drink water that comes from a well that has been flooded, unless it has been tested by the Okanogan County Public Health Department. 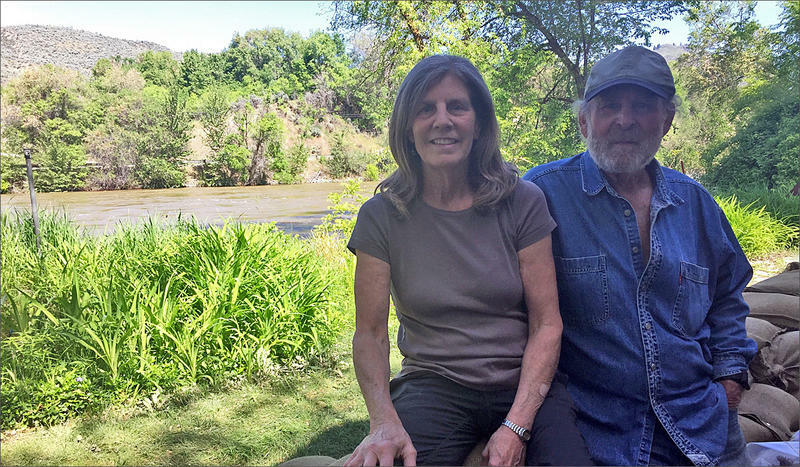 “The concern is if a levy actually failed and water ran over the top of the wells, they are contaminated instantly,” Neal said. Neal said the city has six sealed wells. He also says the flood water would have to rise above 25 feet before it could affect the city’s systems. Currently, the National Weather Service predicts high water levels near 21 feet—still a record for flooding, but, Neal said, not enough to inundate Oroville’s city drinking water. Oroville and other cities in the valley are offering access to clean drinking water. 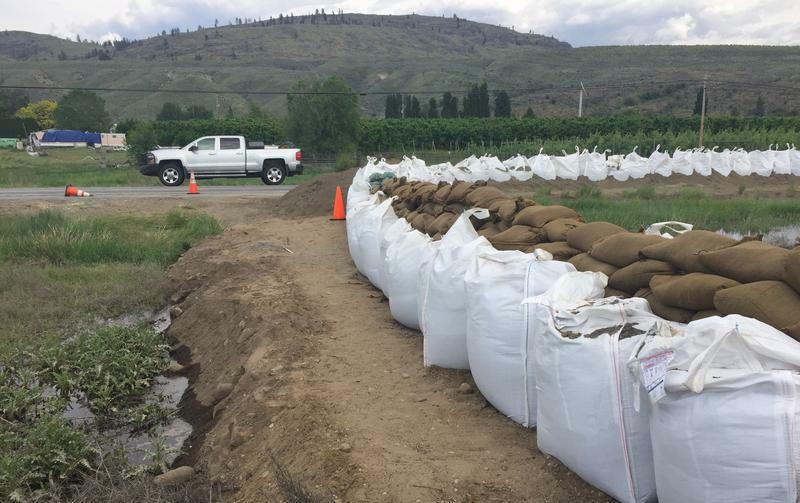 Crews with the Washington Department of Transportation have been working for two days to fortify a stretch of U.S. Highway 97 threatened by the rising Okanogan River. A few days ago, there were a few small piles of sandbags, some cones and a sign warned drivers to slow down at Milepost 313. Now, traffic is whittled down to a single lane as crews work to spread piles of sand along the shoulder on both sides of the road. Small, brown sandbags line the roadsides. A front loader moves massive piles of giant white sandbags that are each half the size of a small station wagon. Throughout north central and northeastern Washington state, residents are preparing for the worst. Rivers are already full and they’re expected to rise even farther as more flood water makes its way down from Canada. 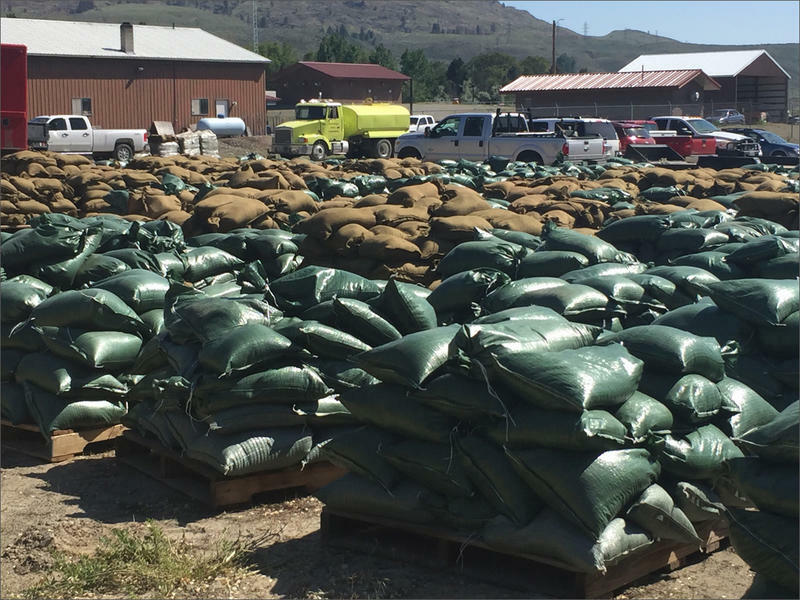 It’s been a busy day along Highway 97 near Tonasket, Washington, as trucks haul sand and sandbags to communities that could be affected by extreme flooding along the Okanogan River. The river first crested last Saturday. But residents are bracing for more. Volunteers joined emergency crews this week to brace for the possibility of major flooding on a number of rivers in north central and eastern Washington state. The combination of a near-record snowpack in southern British Columbia and temperatures soaring into the upper 80s has caused flood watches starting at the U.S.-Canada border running south along the Okanogan River. Correspondent Emily Schwing is on the scene and sent back these photos.